Would You Use a Warehouse as Unkempt as This One? There are a number of reasons why businesses need warehouse space. Sometimes it is a short-term need, and for some companies the need is for a long-term storage solution. Nevertheless, not all warehouses are equal and your business needs a warehouse company that specializes in filling your special requirements. 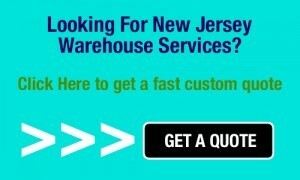 There are six things to explore when looking for a warehouse company. After all, you don’t need a refrigerated facility to store bolts of cloth. 1) A public warehouse is not for everyone, there are certain things they can do, but equally important, there are things they have no experience in handling. Your storage needs are the thing driving your storage solution decision. A good warehouse vendor tells you “no” when she or he cannot meet your needs efficiently and effectively. For example, if an accounting firm needs off-site storage for original documents you need a secure facility, meat and produce vendors often need a warehouse with refrigeration and freezer capabilities. For works of art, a warehouse with temperature and humidity control is best. Try making a list of your needs and if a vendor cannot fill them all, move on. Warehousing is an extension of your customer service, so the choice you make is more than important – it is critical. In addition, consider whether you want to get your own insurance for damage or loss or use a bonded warehouse facility. 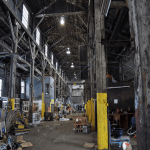 If you opt for a bonded warehouse, understand that if the bond is for one million dollars, and there are several clients with high value items, the bond may not offer enough protection for loss or damage. 2) If a warehouse needs include items you have to deliver, use a storage facility that has transportation available. The same applies if your storage needs include you having to pick customer items up. In these situations, using a warehouse vendor takes the stress out of your customers scheduling a separate company to make their pickups and deliveries. This also allows your customer to interact directly with the warehouse about things such as what things need moving and when and where they are going. This is efficient as it removes your company from the hassle of scheduling and the client takes responsibility for scheduling their shipping needs. 3) As a customer buying goods and services for your company, you know how important continuity is. Choose a warehousing solution where there is an assigned account manager or customer service representative. It doesn’t really matter what the title is, the important thing is to have a single contact point who understands your warehousing needs and that the warehouse company gives them the tools to move your products effectively. 4) When choosing a warehouse ask about the longevity of the warehouse staff. The higher the longevity, the more likely that they and the warehouse understand your product, the way it needs handling and shipped to avoid damages and delays. Since no two organizations work the same way, look for longevity at the warehouse not the warehouse industry. 5) Meeting your needs is critical if you want your customers kept happy. Find out if the warehouse has the great customer service you need – will they make employees available after or before normal business hours and on weekends. A yes to this question is just a word – ask for references for you to call who had that level of service. If the warehouse vendor balks or says no customer has asked, reconsider your decision as their promise is unverifiable. 6) Sometimes it is difficult to get a cab and rig to move your product. Or, weather conditions make a truck delivery to a distant place impossible. The perfect situation is your choosing a warehouse that is on a railroad side-rail so there is an alternative delivery method. Keep these six points in mind to insure you and your company enjoy the best and the most effective warehousing solution. Also, tour the facility before signing up so you don’t store your things in a warehouse like the one in the image.